This Spring/Summer it's all about being out colour and how can one do that with a neutral eye palette? They can't, exactly. Add a pop of colour to any look, makeup or as a whole, by using purple eyeshadows this season. When I say purple eyes I don't necessarily mean bright purple (although that can look awesome)! 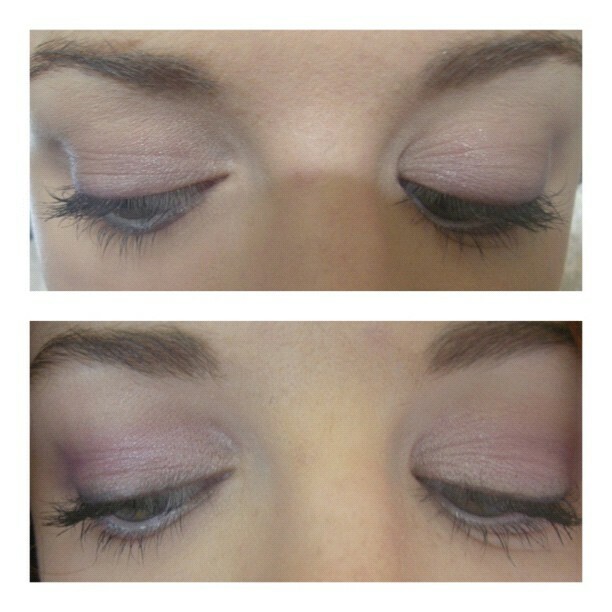 Lavender eyeshadows work just as well and can be a less intense way of creating a beautiful flush of colour. Wondering why purple is such a big colour this season? It's simple. Strangely enough, purple is one of the only colours that is able to bring out and intensify blue, brown, hazel and green eyes. Who doesn't want to be a part of that? To intensify the overall lid colour, I then applied a combination of Blue Iris and Ultra Violet from my Bobbi Brown Mini Brights palette over the eyeshadow that's already been applied. That is where I left look one. Are you looking for a way of giving your eyes a purple pop of colour without committing to purple eyeshadow? It might be time to invest in a great purple mascara. Although I haven't tried it, I'd recommend Mascara Terrybly by By Terry in Purple Success. This product can be bought from Mecca Cosmetica. If you're planning on creating a purple eye look, I'd recommend people keep everything else fairly muted. In saying that, however, pictures of me wearing this look with a bright pink lip can be found here. I actually quite like it.. It's now time for another giveaway. Before I begin though, the winner of the Glamour Makeup Box from the Make Up Box Shop will be announced in the few days. Stay tuned. The lovely people at Models Prefer have sent me two of their newer eye products to give to one of my fantastic readers. The winner will receive a Models Prefer Infinite Colour Shadow Pencil in what a poser!, a purple shadow pencil, and a Models Prefer BIGLash Mascara in Black. To enter this giveaway, comment below tell me which Spring/Summer Trend you'd like me to upload next week. So far in this series I've done Metallic Eyes and Neon Pink Lips and the next one is up to you! The giveaway will be open for just over two weeks and will close on Monday, October 15, at 6.00pm WST (West Australia time) and the winner will be announced the next day in the next trend post. I would love to see some Spring nail trends. Especially colours that are not pastel colours as those are always featured as Spring colours. But not only include colours, but different textures (i.e: glitter, metallic, magnetic, matte/suede, flakie, creme, jelly). Everytime I try to search for Spring nail trends, it always comes up with the predicted and boring colours that are featured year after year. Something green, we don't see enough of it and it's a great colour for people with olive complexion and hazel eyes like me! Make up for the Spring racing carnival, dressy but out in the sun! No make-up look comes in everySpring. I love the look of a fresh face that looks effortless. something with a little bit of orange would be nice. Im very taken with the Orange lips look at the moment. Love to see how to make a fresh face for this spring.